Heiko Elmenthaler yes i love Favorite track: Arcadia. Ericka Lawson I waited a good while to review this album. I'm not one to rush a judgement, but I wanted my words to carry some weight and mean something. I have to say, I was very impressed by many things in this album. I don't know much about the artist or the band, but I know talent when I hear it. Leah has such a beautiful voice, so full of passion and life. In fact, some of her music would make a good addition to the "Outlander" series, btw love the bass sound;nailed it. Favorite track: Angel Fell. H.L. Catchy tunes and a pleasant voice are the two essentials of top-class female fronted metal. Sounds simple, but many fail in this basic disciplines. Not so LEAH! Her voice is really charming and able to transport deep emotions. Songs like "Angel Fell", "Heart of Poison" or "Siúil a Rún" are hymns to remember and examples of very strong songwriting. But the icing on the cake and a quite unique feature are the distinct celtic elements within this symphonic metal mélange. Favorite track: Angel Fell. Join now to receive all the new music LEAH creates, including 13 back-catalog releases, delivered instantly to you via the Bandcamp app for iOS and Android. You’ll also get access to supporter-only exclusives. Learn more. 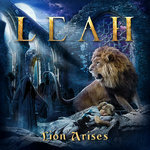 From the coast of British Columbia, Canada, auburn-haired symphonic metal artist LEAH is drawing attention from all over the globe. 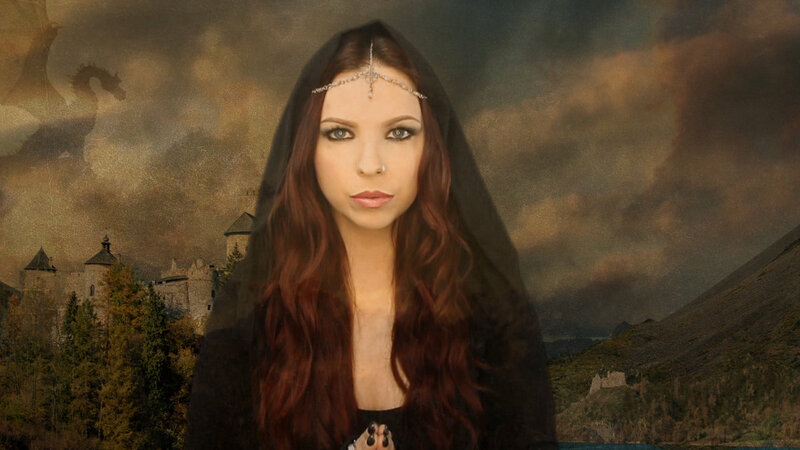 Inspired by Celtic and world music influences such as Clannad and Loreena McKennitt to European symphonic and progressive metal, LEAH creates something magical and refreshing. Her debut self-released album "Of Earth & Angels" received international critical acclaim, landing her on "The Best Symphonic Metal Album" Metalstorm Awards for 2012.
International fans call her “The Metal-Enya”. 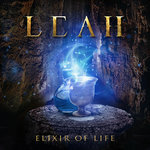 From ethereal ballads to folk-tales, mysterious world instrumentation and operatic blast beats, LEAH’s music is a breath of fresh air among a sea of female-fronted rock. LEAH has had success in gaining thousands of fans around the globe, strictly through her online presence and social media, despite never having done a tour. “Otherworld” (EP) was released in 2013 [re-issued in 2014] and features Eric Peterson’s vocals [Testament/Dragonlord] on the ethereal metal track, “Dreamland”. “Otherworld” followed in the same steps as the debut, but took everything a step forward and gave us a hint on what’s to come in the future. 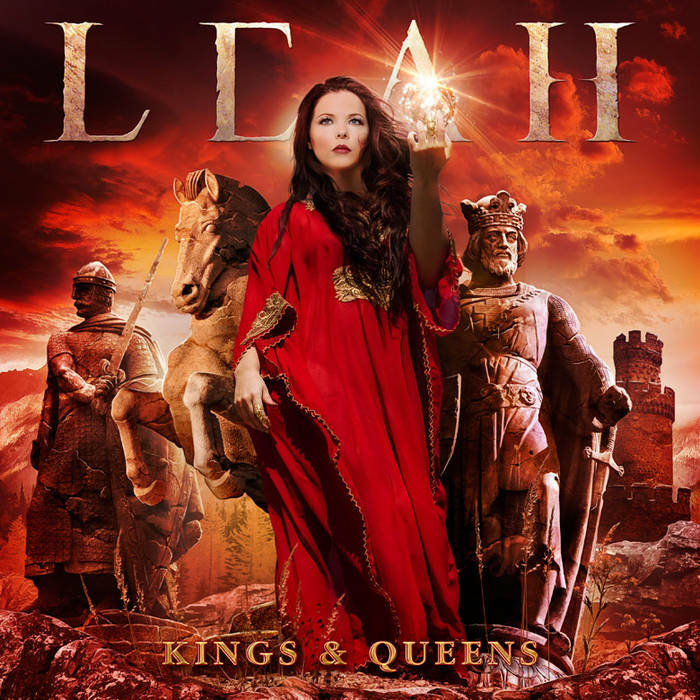 “Kings & Queens," the anticipated new album from LEAH is sure to be loved by fans of symphonic metal and female fronted rock. This album is powerful, beautiful and often dances on the edge of progressive. Most of all it’s hard not to be drawn into and enchanted by LEAH's diverse and mesmerizing vocals. Featuring musicians such as Timo Somers and Sander Zoer (Delain), and Barend Courbois (Blind Guardian & Vengeance), as well as artwork by Jan Yrlund (Apocalyptica, Sirenia), this 15-track masterpiece emerges as the heaviest of all her releases. Dabbling in worldly Celtic, middle eastern, and New-Age flavors, while lyrically laced with epic imagery of dystopias, fallen empires, spiritual warfare, love and destiny, this album proves to be very promising and is expected to be received by fans and critics as one of the top symphonic metal albums of the year. 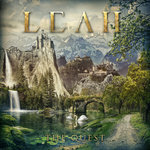 LEAH is a Canadian symphonic metal artist with Celtic & World influences. Wisdom lost, what will remain? “You’re never gonna save the world (so give up the fight)"
But what if we are here for a while? “Don’t polish brass on this sinking ship (so wipe off that grin)"
“You’re never gonna save the world"
"You’re never gonna change the world"
Did you know, did you foresee? How long have you longed to come to life? No weapon formed against us will prevail! And the walls shall fall!